After fulfilling all your important shopping needs at Canadian Tire, what better than to take a refreshment at that other great Canadian institution, Tim Hortons? 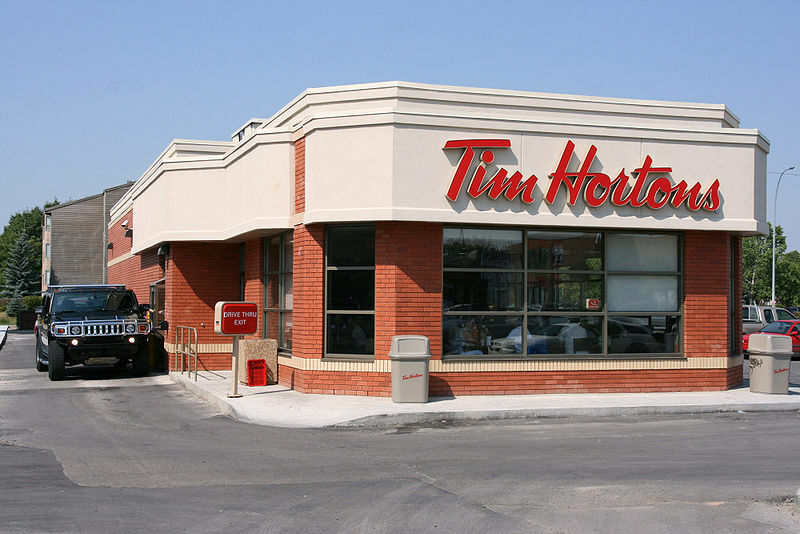 Never mind the fact that the company merged with the US owned, Wendy International of hamburger fame back in 1995, Tim Hortons still has a Canadian identity with a capital ‘C’. Albeit the business is now publicly owned. The donut chain takes its name from former owner, Tim Horton himself. Horton was a stalwart on the Toronto Maple Leafs ice hockey club for many years and was considered an immensely strong performer on the ice in his day. His focus obviously extended to his new business foray in 1964 which traded only in donuts and coffee. It now holds the position of largest quick service restaurant in Canada with 2750 outlets and another 350 in the USA.